Subscribe to become an ISLANDERS INSIDER today! Don't miss the action at Barclays Center during the 2017-18 season. 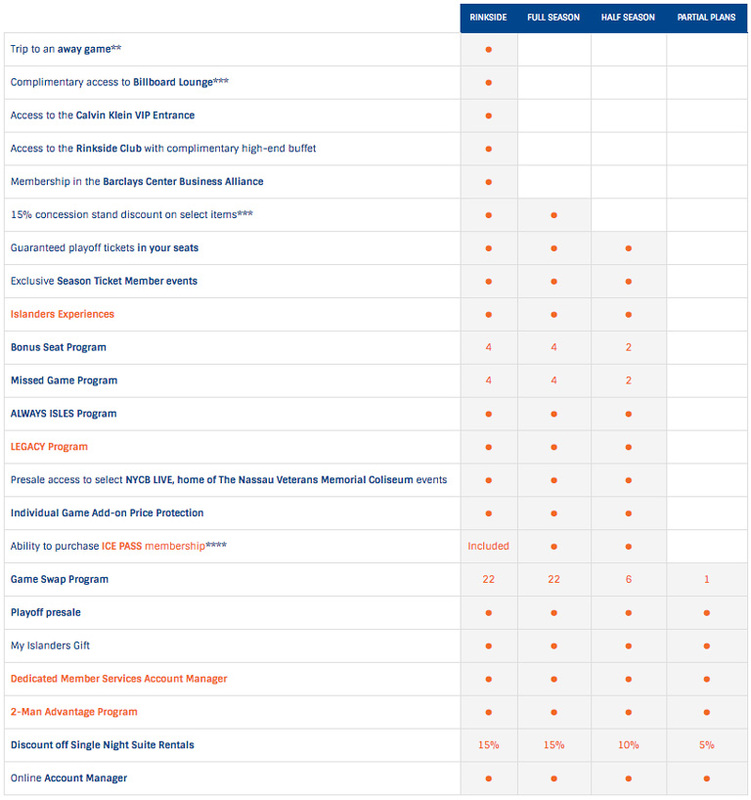 With New York Islanders season tickets, you'll get the best pricing plus premier advantages and amenities. Rinkside seats are your ticket to the premier VIP Islanders experience at Barclays Center. Your evening begins with exclusive arena access through the Calvin Klein VIP Entrance, followed by a private elevator ride down to the event level. Enjoy the premium buffet at the Rinkside Club, just steps away from your seat behind the bench or behind the goal. In addition to up-close views of the action, you'll receive the full menu of benefits available only to Rinkside ticket members. All prices are average price per seat per game and subject to change. 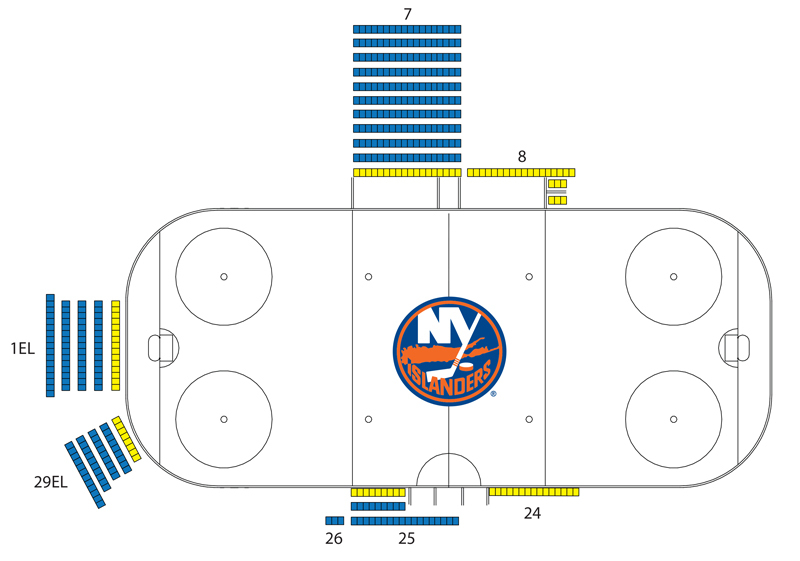 Claim your piece of the Islanders experience with half season tickets at Barclays Center. You'll save on tickets versus individual game prices and be guaranteed access to your seats for the playoffs, along with all the rewards of our LEGACY Program and other benefits you can only receive with an Islanders ticket plan. All-inclusive food and non-alcoholic beverages at fixed concession stands. Presale Access to select Barclays Center and The New Coliseum presented by NYCB events. Our current New York Islanders ticket policy limits sales to purchasers presently residing within the New York metropolitan area. Sales will be voided if the purchaser fails to produce proof of such residence, to the satisfaction of the New York Islanders (as determined by the New York Islanders in its sole discretion), if so requested by the New York Islanders. In addition, there is a four (4) ticket limit per account, or per household, as applicable.